Have you been looking at Katy TX Karate Schools for a long time, and you still haven’t picked one for you and your family? 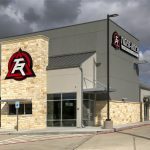 There are a lot of gyms out there, especially in the Katy area. As a result, it may be tough for you to figure out which one is perfect for you. If you’re still having troubles finding a fit that works out for your family and you’re ready for improvement, Tiger-Rock is here for you. Our academy is a place where you can have fun, push yourself, and transform your mind, body, and soul all at the same time. 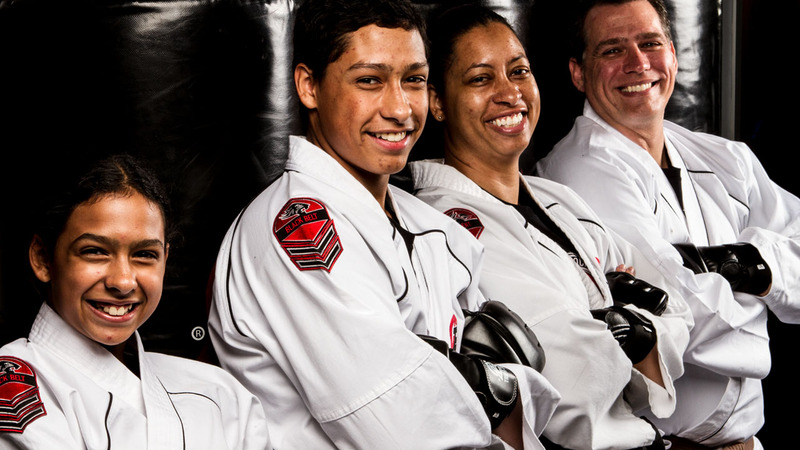 Founded in 1983, Tiger-Rock Martial Arts is currently the biggest martial arts franchise in America. With over a hundred locations nationwide, you can count on our stellar reputation and team of certified instructors to help you meet your goals. We’ve been working with students from all backgrounds for a long time now, and we’re committed to providing you with amazing service. Whether you’re a toddler, teenager, or an adult who wants to learn more about karate, you can count on us to help you improve. Discipline is one of the major benefits of martial arts. When you’re having trouble focusing, it can be difficult to know what you need to do to increase this. Like the muscles of your body, the brain is something that needs to be trained. You may be dealing with lapses in focus during work or school. If this is harming your performance and productivity, you might be alarmed, but we can help you get through it. When looking for Katy TX Karate Schools, it’s critically important that you choose a dojo that will push you to succeed. We understand that mental toughness is a big part of each aspect of life, and you’re going to want to improve this if you’re not happy with your current life. Are you having lapses in focus on a regular basis? Maybe you’re easily discouraged and you haven’t been able to complete a goal in a long time. If you’re ready to improve, we have a solution for you. When it comes to our programs, there is no such thing as a shortcut. You’re going to have to demonstrate your abilities before moving to the next rank, and our instructors are here to push you to your limits. We want to instill a sense of discipline and accountability in each and every one of our students. By adhering to our guidelines and giving each class your best effort, you will see the results over time. Cardiovascular health is another big benefit that you will assuredly experience if you commit yourself to our programs. If you’re noticing that you are becoming easily winded after doing typical tasks, you may need to consider martial arts. Putting yourself through our series of rigorous exercises will help you improve your endurance and stamina. You will also build both upper and lower body strength. Our multifaceted program is here to help you improve every aspect of your mind, body, and soul. Something to keep in mind is the fact that you will be pushed to (and past) your limits when you come to Tiger-Rock. As instructors, we will do whatever we can to make you into the best possible performer of Taekwondo you can possibly be. As a student, we ask that you come to class, pay attention, and give it your all when it’s time to demonstrate your abilities. We want each and every student to experience the best of what our classes have to offer. If you’re someone who is really serious about continually getting better, we highly recommend you take advantage of our competitions. We have yearly nationwide tournaments that give our students a chance to engage in some healthy competitiveness. You may be someone who loves to win, and we understand that feeling. If you’re ready to learn how to be victorious with grace, our studio can help you with that. Contact our dojo to start your training. We’ll prepare you for competitions so you can make a good representation. In the past, many dojos would hide hidden fees in plain sight when gaining new customers. Others try to lock you into long-term contracts without you even realizing it. Are you someone who’s on the lookout for flexibility and you’d like to start taking karate classes, too? If so, you can count on us to help you. We don’t believe in long-term contracts, and our prices are competitive and affordable. Contact TRMA when things get tough; we have the support you’re looking for. Call TRMA today for more information! 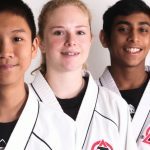 Katy TX Karate Schools need to be taken very seriously, and it’s important that you find a way to discover a dojo that makes sense for you. If you’re unsure of how you’re going to get the best schooling for your martial arts needs, contact our representatives today for more information. We have a team of instructors who are eager to provide you with details on our courses and programs. We have an introductory course package that will give you an idea of what it’s like to be a student here at Tiger-Rock. This is a great way to figure out whether or not he or she is a great fit for you and your family, and we highly recommend it. Calvin Baird was the first ever mayor of the city of Katy. Did you know that Katy is located in the middle of the Houston-The Woodlands-Sugar Land metropolitan area? Maybe you’re trying to figure out where our city is, but you don’t know how to get to the bottom of this. Something else that you should keep in mind is that Katy is located in three different counties at one time. Fort Bend, Waller, and Harris County all contain a piece of Katy. If you enjoy local farming, you will definitely appreciate the early 1900s, Katy. We had many commodity crops such as corn, cotton, and rice.